The Oscar nominated portrayal of the UFW's 1973 strike. A 45 min. biography of Cesar Chavez, narrated by Martin Sheen. Documenting the UFW’s struggle to win justice and dignity for farm workers. The UFW’s early documenting of the cancer clusters and birth defects in rural California towns due to pesticides. 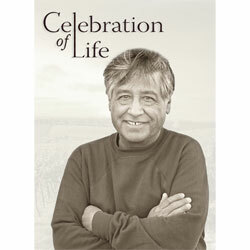 A moving tribute to the life and legacy of Cesar Chavez.